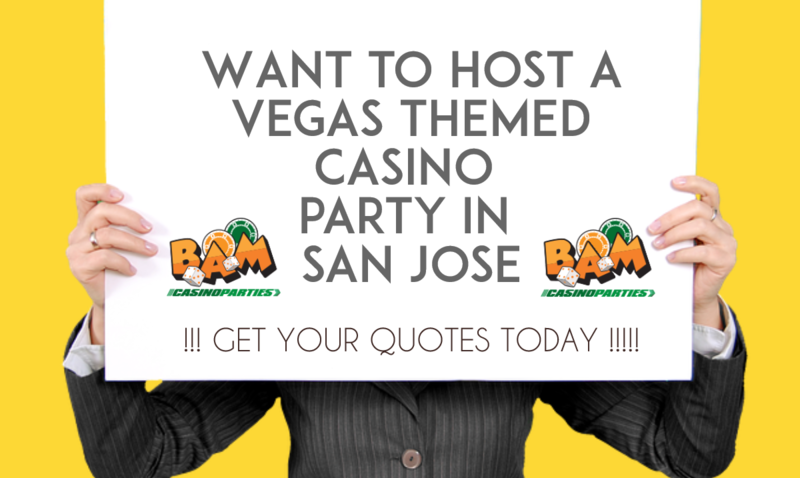 With many years of hands-on experience in the casino business, BAM casino parties in San Jose, CA, brings a new thrilling experience at your doorsteps. We pride ourselves in providing the best quality services to our clients by considering all aspects of the event production from the type of event to the budget and other specific needs for casino party in san jose. Our experienced and professional staff will not only deal with the casino specialty games but will also instruct you on the rules of those games and will always be ready to help you. Our team knows well that no two games are the same, so we work closely with our clients to create an event-specific plan of action from the initial point to a finalized successful event. Want To Plan A Casino Party In San Jose With Us! Do you rave for all the thrill, fun and excitement that usually comes as soon as you hear any Casino Parties San Jose, CA ? If yes, and you want to join the craziness then BAM Casino parties is a one stop solution to cater all your needs. Get rolled up with the sound of dice, poker, shuffling of cards, hitting of reels and lot more. Our staff is all geared up to offer the best customized packages to make your event memorable for all the guests. Planning to party inside or outside, in the backyard or at home, we are always at your service. Just let us know about the type of party, be it a corporate guests or family reunions, our team is there to offer you the best and leave your guests awestruck with the passing time. Enjoy the gaming session and hit the Jackpot! 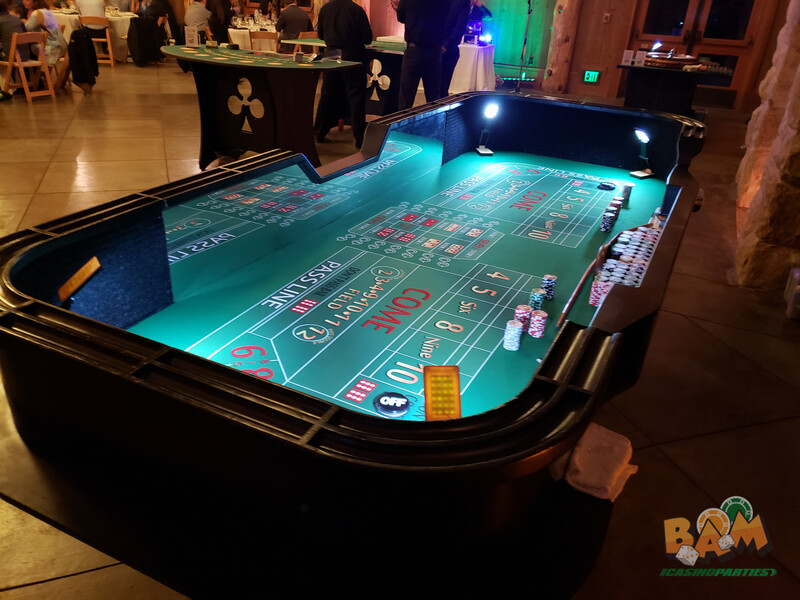 If you are looking for casino rental equipments like the roulette table, blackjack table, patio tables and more then you can surely count on BAM Casino Parties, San Jose CA. We offer a complete setup and a breakdown of various furniture, and gaming that is needed for the events, maybe a small reunion or a huge wedding occasion. Hit the jackpot with a next party at your desired space. Add up the spice, enjoy the party and be the best host to let your guests enjoy in the cheerful moods with us. Leave your stress behind and dive into the new world of fun gaming with our specialized team. Our team is a unique combination of experienced casino dealers, friendly staff, trainers who are experienced in heating up the spice at your parties and offer your guests with the unforgettable experiences. Our dealers will assure that you have the best time at the event that you haven’t imagined yet. We perfectly know how to plan, arrange and execute your casino themed party ideas to provide the best in hand. Daly City, Colma, San Bruno, San Mateo, Millbrae, Hillsbourough, Burlingame, Foster City, Belmont, San Carlos, Redwood City, Atherton, Menlo Park, Palo Alto, Los Altos, Mountain View, Sunnyvale, Cuperito, Saratoga, Campbell, Los Gatos, Santa Clara, Oakland, Milpitas, Fremont, Newark, Union City, Hayward, Castro Valley, San Lorenzo, San Leandro, Alameda, Emeryville, Berkeley, El Cerrito, Richmond, San Pablo, Hercules, Benecia, Vallejo, Martinez, Concord, Pleasant Hill, Walnut Creek, Lafayette, Orinda, Moraga, Alamo, Danville, San Ramon, Pleasanton,Livermore, Pittsburg, Antioch, Brentwood, Portola Valley, Half Moon Bay, Pacifica, Sausalito, Tiberon, Mill Valley, Corte Madera, Larkspur, San Rafael, San Anselmo, Fairfax, Novato, Petaluma.